Last month, I reported on the Lancet Commission on Obesity report. It came across to me as another fanatical, highly politicised, left wing and anti democratic report, in similar vein to their regular ones on Climate Change. Now, it has been slammed by the Nutrition Coalition in the US, which is a non-profit, non-partisan educational organization, founded in 2015, with the primary goal of ensuring that U.S. nutrition policy is based on rigorous scientific evidence. The EAT-Lancet commission was portrayed as the product of 37 scientists from around the world. However, in reality, the authors represented a very narrow range of opinions: 31 out of the 37 (>80%) had established published records as being in favor of vegetarian/vegan or anti-meat diets. This include seven from a Stockholm think tank (and EAT co-founder) dedicated to reducing/eliminating meat for environmental reasons. Thus, although readers are given the impression that the EAT authors have been objectively convened to comprehensively evaluate the science, the reality is that this group was one-sided from the start. Instead of grappling with the very real scientific controversies that exist on these topics, the group considered virtually none of the science that contradicts their views. Because meat taxes seems to be the intervention of choice, stay tuned for those…and other measures intervening in our daily choices about what to eat. 2) Heavily biased, and even fanatical, authors, many with conflicts of interest. In particular, most already hold strong views on vegetarian/vegan diets, and cannot be expected to offer an impartial and objective evaluation of the science. 3) Questions regarding the adequacy of peer review. 4) The role and motivation of funders. I raised the question of who appoints the Lancet Commission, or indeed whether they appoint themselves. Given the detailed criticisms made by the Nutrition Coalition, the Lancet now need to seriously answer this question, and explain how the authors are actually selected. The Lancet might also care to explain why they felt it appropriate to lend their authority and publish such a one sided and shoddy report in the first place. Off topic – but relevant: Paul, why do your direct emails stop working now – since past few days -All linksdon’t work ! Saighdear; I had a similar issue some time ago. It was either my email programme disabling URL links or the Firewall. I did fix the issue but can’t remember how! Try Brave, smaller, faster and you does what you want, not what you ought to want (becoz they know better, and you are stupid). @ SteveT & Geoofb; thaks for being in agreement on the issue = but my older links still work as does the following Confirmation Email : I just H8 it when things change by themselves – and now this stoopit Win10 – can’t find things as I used to in XP. THere are Major issues in the world – all as a result of a step change in how we do t hings – NOT FOR THE BETTER, but because THEY CAN….. bring on Brexit and clean up the swamp. Thanks to all the Donald-John’s in the World up here. Is it going to spam? No Paul, Just same procedure as last time: goes to filtered Inbox. Confirmation Follow link functions OK as did this reply to comment FYI. thanks & keep up the good work. Maybe it’s WordPress notifications which have stopped? Mine for a couple of other WP sites stopped a few moths ago, but NaLoPKT notifications continued. Well, since we are in the age of outrage……as a botanist I am outraged that these people advocate the eating of plants. What did those grains and beans ever do to you? Can’t you hear their cries as you crunch them down? Have you no shame, no pity? (Well this link worked OK) Yes Joan, This is EXACTLY what I say to folk who goon about not eating meat – a mean tae sae…. can ye hear the scream o e tatties n krats as ye skin em alive afore ye chuck em in e hot watter! or e Kroolty oav pittin em in e Mikro Wave an watchen em chumpin aboot like Popcorn….. An Geoffb. , yer right there an a’ thae vegans jist blether is much as kims oot o’ t’ither end.. Me thayn’ it so ony wyse! “nakedscientists” in the link is not related to the Cliscep link from Jaime Jessop below! Can plants reason? I judged several junior high/high school science fairs in suburban Virginia when I worked at the US National Herbarium of the Smithsonian Institution. This was in the 1970’s. Oh, my word. The little students were playing music to their plants or talking to them and one was even studying the effects of smoke and alcohol on the plants. He blew smoke at some and poured liquor on the roots of others. At least the latter may have died happy. The main emphasis should have been on the scientific method and adherence to the tenets of it. Never mind. Within a given “study” there was generally no consistency as to pot size or materials. Plastic, terra cotta, various sizes were used within a single project. Seldom were there “control” plants. The emphasis from the schools was on uniqueness of project and not learning the scientific method. These people are not normal. There is only one indisputably positive and evidence-based reason to cut back on or give up the consumption of cheap, industrially produced meat; that is to lessen the suffering of the animals involved. That is a decision for each individual to make, not to be badgered and cajoled by these mediocre academics into thinking that one is saving the planet or boosting one’s health with reference to their fake science perpetuated in journals and the media in order to push a global governance agenda. I do believe some of ’em if not all of ’em, and from a line stretching back to the likes of mengele to lysenko, Sweden and its eugenics programme. Horrifically, pervasively now seeping into western medics minds. ‘zoo keepers’ is how think deem themelves ubermensche diktating to the ‘rest’ of society, so high is their own esteem and in a hubris of self estimation about their own abilities and ‘Liverpool pathway’ anybody? Trouble brews, we all know what happens when men make themselves Gods, after a lot of lies, idiot policy and death caused by insane ambition – thence comes Nemesis. Regarding ‘lessen the suffering of animals’. Many animals are only born because they will be eaten. If we dont eat them then they wont be born and their quality of life will be zero – they wont have one. So to give a good quality of life they must be born and ultimately eaten. Its just a matter of giving them good welfare and a painless (non-halal/kosher!) death. keep eating from the free range. Vegans cannot eat any of these. So salmon, trout and tuna aren’t animals then? They are indeed, but that wasn’t the point of my comment. And here I thought Salmon were animals. Pretty sure fish are animals! Paul , you ask why Lancet put its name to this shoddy document . Could it be the expected influence on Lancet editorial policy of Christiana Figueres, recently elected to an ediorial chair? , to finance the reforestation of degraded lands. She concedes that there are problems with this idea, but reiterates that we need to be thinking “not just outside the box, but without it”. Secondly, she says, we should all be vegetarians and restaurants should treat meat eaters like smokers, by making them eat outside, because meat is “bad for the planet and our health”. “Very, very provocative, but why not?” she asks. …. Karen Christiana Figueres Olsen, (married name von Ritter, https://en.wikipedia.org/wiki/Christiana_Figueres), has a long history in the carbon trading industry. F*ckwit Figueres the Internationalist Trot and she comes around like a cancerous disease mankind just can’t seem to cure themselves of and inclusive of the UN. All animal-life depends on plants for food and oxygen. It is a balance between photosynthesis and respiration…the carbon cycle. Eating vegetation is destructive of solar-induced CO2 sequestration and must therefore create harm to the global environment. Planting solar farms and inedible trees where vegan’s get food should solve the problem? 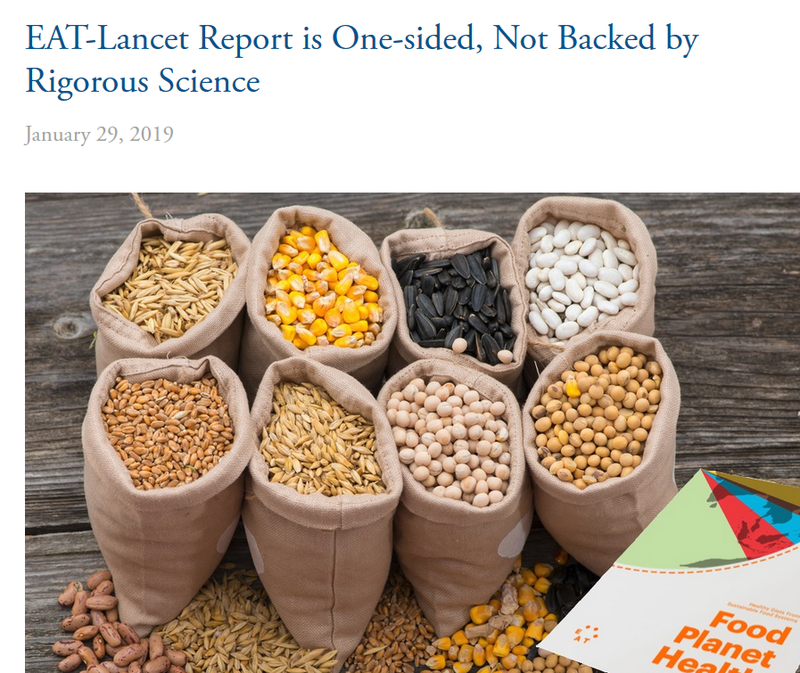 “The EAT-Lancet report has the feel of a royal decree, operating under the guise of good intentions, seeking to impose its benevolent will on all subjects of planet Earth. It is well worth challenging the presumed authority of this group of 37 “experts,” because it wields tremendous power and influence, has access to billions of dollars, and is likely to affect your choices, your health, and your checkbook in the near future. Many years ago (45 ?) we were invited to dinner by a couple with 2 young boys. We did not know in advance they only served vegan stuff. Their “butter”, for example, was a puréed yellow squash (I think). They and the 2 boys looked under-nourished (malnourished). If I knew then what I know now I would have reported them to Child Welfare or County Health services. The parents did not have the knowledge or money to carry this thing off. In contrast, we know a medical technician. Her son decided he wanted to be vegan (favorite teacher indoctrination – I think). She researched the issue, and had the money to accommodate him. She was not pleased – she had other uses for the time and money. Still, he was her only child at the time and so she did it. My personal regime: eat what I like, work and play hard. Getting the activity is a bit tough when there is a cold blizzard happening, but this will pass. We are about 10 days into a 20 day nasty patch of weather. My stepdaughter announced she was going veggie one day. “OK, fine, but you’re cooking for yourself.” Lasted about 3 days, IIRC. @ John H – at least a foot of snow in my Seattle garden too and more coming down. -16º last night. Certainly doesn’t feel anything like global warming…. can’t remember a winter like it here, though experienced 1963 in Paris with icicles inside the apartment. A lonely rather sad-looking humming bird has taken up residence under my verandah, zealously guarding the feeder, spending much of his energy chasing away rivals. 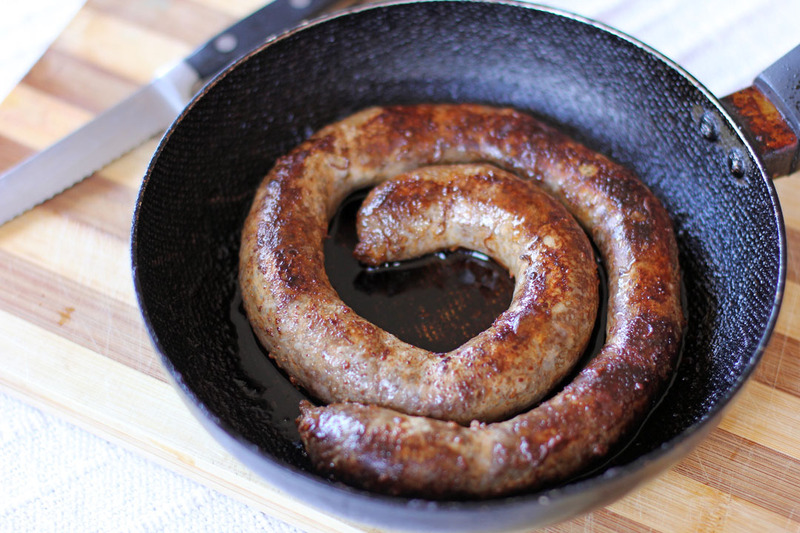 El-Beeb was pushing the “No more than 2 sausages or 3 thin slices of ham a day” theme on the national news today. I’ll take 2 of these please. Anti pig products, another angle and we all know the provenance of such. Man is omnivorous, meat and dairy products, were, was a vital requirement for early mankind, i’ve said it before on here, fire and the ability to process and cook meat was an existential factor, a great leap in our progression farming and keeping domestic herds the next great leap and a massive step. Berries and nuts to vegans, they are just the chaff. Another one! WHO is peer reviewing this stuff put forward to the Lancet? It used to be a serious journal. The dangerous left are infiltrating all aspects of scientific endevour and there MUST be money behind this. Be clear, this is a cancer with a political agenda uppermost in their minds not the good of the public at large. I was highly suspicious of the rubbish spouted in the last paper you pointed to from the Lancet because it suddenly turned into a climate believers rant not a doctors concern for the welfare of people. I have my own theory on what is going on which is that there are “activists” mateying up to scientists across a broad spectrum of disciplines and enticing them to have their boring paper “sexed up with climobabble” with promises of easy future funding if they do. A snout in the 2 trillion dollar troff is enough to turn anyone to the dark side. A simple check for anyone to know if a claimed scientific study is just that. Very simply, if there is ANY sign of emotional language then it is NOT science. Science is all about the method, not the results. Science is dispassionate, science is conservative by nature. If sweeping claims are made without any reference to hard data then it is NOT science you are reading but politically motivated activist twaddle. If [red] meat was bad, the Inuit people would have been gone long time ago. The traditional food they eat are seal meal, seal oil and fish. No vegetables. So yes, politicians, please feel free to ignore the wishes of those who elected you. Those ignorant deplorables just don’t know what’s good for them. We do – listen to us instead! Take your voters where they need to go – that “need”, of course, being defined by us, at EAT. A nasty, privileged fascist who thinks her own opinions are so superior to any others that she has the right -perhaps the obligation – to impose them on the entire world. No different from Stalin or Mao. Ever since Tony Blair decided to deify and grossly overpay doctors and their minions, they have developed delusions of grandeur and clamoured to interfere in our lives in many areas, bizarrely under the guise of saving the NHS money, presumably in order to further enlarge their salaries. When I was forty they decided that I and thousands of other should take cholesterol lowering drugs daily if over a certain reading. and steadily over the past forty years they have considerably lowered the threshold for chemical interference, causing more pain and suffering than provable lives saved, and extended their administrations to millions. Forty years later after refusing their unwelcome attention………HELLO !! Yes, not only very unnecessary, but as you write “causing more pain and suffering than provable lives saved.” See video I linked to below. Oooof! yes, well, er em…… dare I say that ALL ( if nost most) of our Contr9olling deity aregrossly overpaid? Legal infrastructure included? …. On the bbe this morning … a sking to be made illegal to injure a Police Dog or Horse too…. and when a ( the ) robot comes hovering….. what then? No plastic Peashooter straws, no elastoplastic catapults, Sticks n stones. Statins are by far and away the most profitable pharmaceutical even invented. A friend with a family history of heart disease takes them daily. He says he doesn’t get periodic flu symptoms like the rest of us, he wakes up every morning feeling as though he has flu. I was once told to take Statins and did. Until one night I woke in the middle of the night with cramp in evry muscle, very painful. Then I checked the little bit of paper that comes with the pills….”side effects, cramp! So they were stopped as of then, and I told my Doctor why, silence reigned??? Silence reigned ………… and now you’re flooding the world. Animal fat is not only harmless, it is essential for good health! PS – Start at T=17:29 for what I intended to focus on for this post. Of course, if you have time, the whole thing is well worth watching. Vegans get their proteins, minerals and vitamins directly from the plants that they eat. The animals we eat process plants, which contain the proteins, minerals and vitamins, through their gut. It might be argued the meat eater gets this second hand (used) food plus the additional toxins resulting from the processing of the plants by the animal. Vitamin B12 is an issue for vegans (can be found as an additive in some foods or as a supplement) while the Sun is the best source of vitamin D.
If you like heavy metal, no not the music, the elements, then by all means go vegan.